The container glass sector generates around 125 000 jobs in the EU The container glass sector creates or maintains more than 124 300 jobs in the EU, including almost 44 000 direct jobs at glass manufacturers. For each direct job in the container glass sector, about 1.9 indirect or induced jobs are generated on average in the EU. 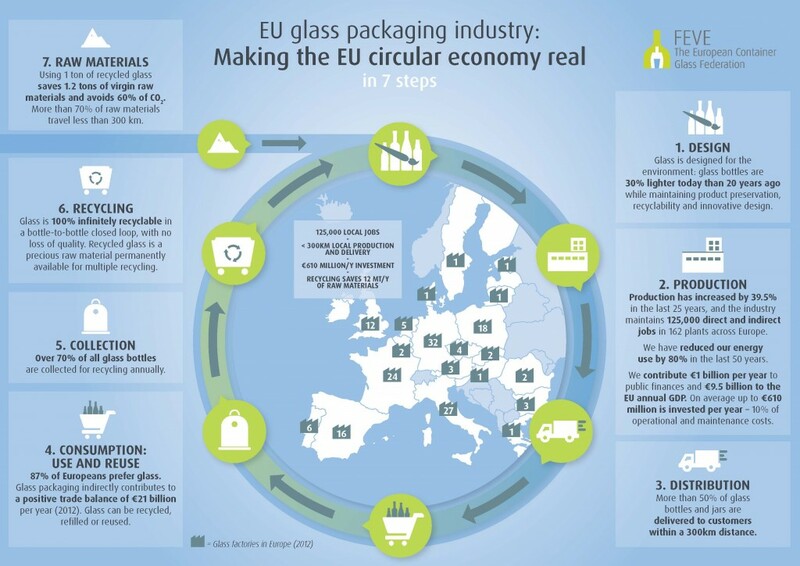 In the EU 27, container glass production generates on average about 6 100 jobs (direct, indirect and induced) per million tons of glass produced. With 162 plants producing 20.3 million tons of glass bottles and jars in 2012 (i.e. 55 000 tons every day in average), the container glass industry creates employment across Europe.